Is it time to trim the hedges yet? YES! But wait, your old hedger is broken, and you need another one. The GARCARE GHT06 is a corded hedge trimmer with a 4.2-Amp motor. In this review, find out if it suits your needs or satisfy your requirements. Online, we couldn’t find GARCARE‘s official website to tell us more about the brand or the company, but according to Justia Trademarks, GARCARE (short for “garden care”) has been registered in 2017 by a company called Ningbo Cheery Garden Tools Co., Ltd. The registration number is 5201387. Here’s a list of GARCARE GHT06’s key features. – Safety Features. 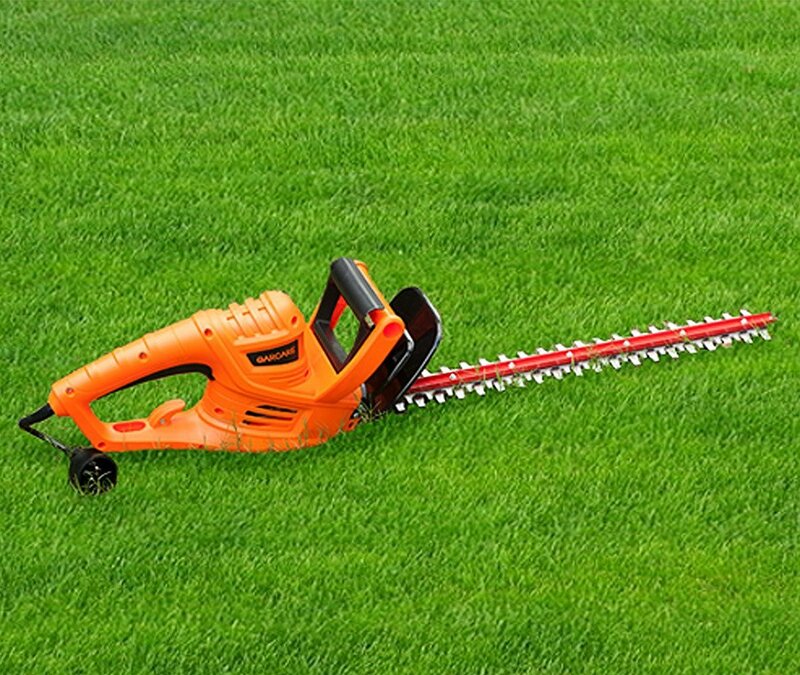 This corded hedge trimmer comes with two features that help ensure your safety. One, it has a large hand guard that serves as a wall between the blades and your hands. Two, it has a two-hand safety switch. – 18-Inch Blades. The blades of the GARCARE GHT06 are definitely not the longest we’ve seen, but as advertised, it has the following characteristics. One, the blades were laser-cut and diamond grinded. Two, they are rust-resistant and made of hardened steel. Three, they’re dual-action. – Cutting Capacity. 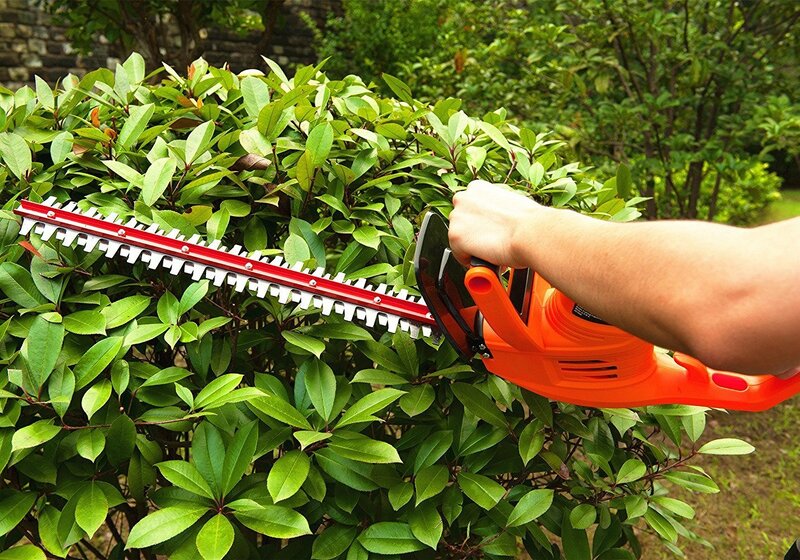 The bades can efficiently cut branches that measure up to 5/8 inches. Also Read: Black and Decker LHT321 Review, Is it Worth It? In this part of the review, we give you a summary of what previous buyers have shared regarding their experience about the GARCARE 4.2-Amp corded hedge trimmer. – Weight. This hedge trimmer has been described as “lightweight.” One person even says she can trim with it for half-hour without getting fatigued arms. – Power. As advertised, this GARCARE hedge trimmer has a 4.2-Amp motor. The general feedback is that this garden tool is powerful and easy to use. To specify how “powerful” this tool is, here are some of the feedback. It has helped get the job done faster. It cuts through tough shrubbery like butter. Some people who have purchased this as a back-up for their more powerful gas hedge trimmer says it has “saved” them from using their gas. The rotating handle is a big plus. As a corded trimmer, you might find it annoying when the plug dislodges from the socket accidentally. Also Read: Black+Decker LHT321FF vs LHT2220: What’s the Difference? 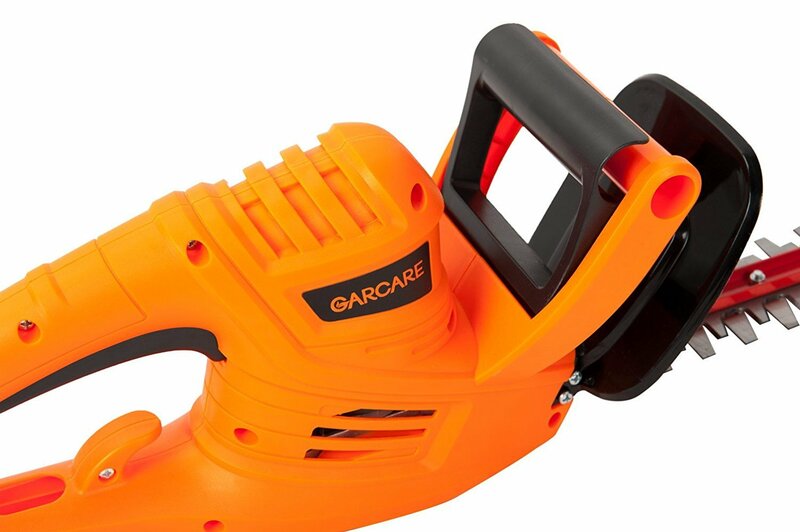 This GARCARE corded hedge trimmer is surprisingly powerful and lightweight. In general, gas-powered models are incomparable when it comes to power, but the GARCARE can cut tough branches with ease you may not always need your gas trimmer.